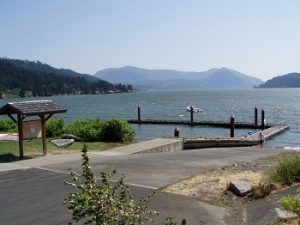 Located at the East end of Cascade Avenue in Stevenson, the Port has a boat launch that is available for public use. 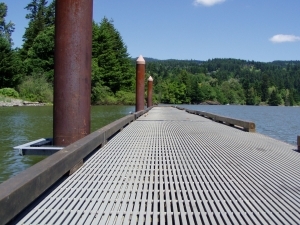 There is no fee associated with using the boat launch and no permit required for recreational use. 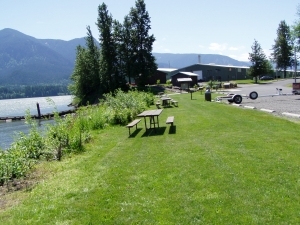 There are also several parking spots designated for parking vehicles with boat trailers as well as ample street parking. There are docks in the water for loading and unloading from May through October. Visitors to the waterfront can also enjoy a small park with picnic tables, bbq grills, and restroom/changing facilities nearby. The views from the park and the docks simply can’t be beat! The Port hopes to make the docks more accessible to kayakers and other water recreaters in the coming year. Stay tuned for those improvements! The docks should not be used for long term or overnight docking. 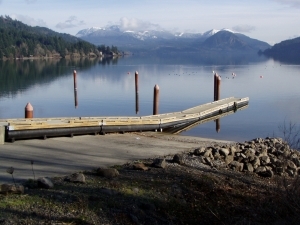 Please note that any commercial activity at the Boat Launch and associated park are prohibited without prior approval from the Port. Swimming is allowed in the Boat Launch area. 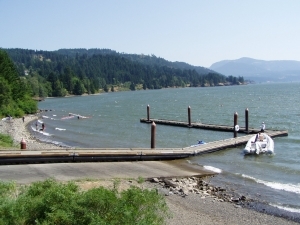 However, no lifeguard is provided and swimming is at the individual’s own risk and swimmers are warned that the Columbia River has strong currents, cold water and underwater hazards. Life jackets and wet-suits are strongly advised. Swimmers should also be aware that the Boat Launch area is used by powered vessels and the boat ramp area and docks should be avoided when boat users are present. The Port recommends using the “Pebble Beach” area for swimming, which is also unsupervised and swimmers swim at their own risk. Per section 27 of that ordinance, any person who violates the rules set forth may be subject to a fine of up to $250 for each offense. You can read the full ordinance here.